I’ve fallen into a pattern. In the last few months, I sit down to write a blog, write a few paragraphs, sometimes several paragraphs, and hit a wall. I go back and read what I’ve written and shake my head. Whatever it is I am trying to say, I can’t say it. So I save the draft and tell myself I will revisit it and then, of course, I don’t. 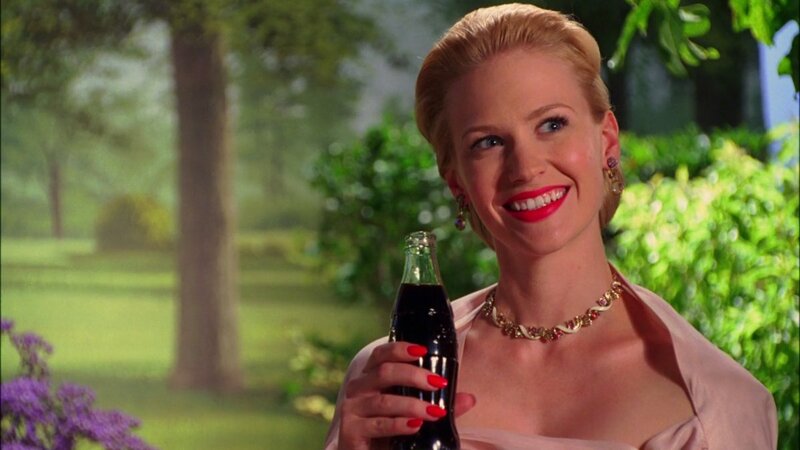 I started a blog on Sunday, before the Mad Men finale aired. I wanted it to serve as a prediction of sorts of how I thought the series would end. I had a title, Happy Endings, but again, whatever it was I tried to say, it did not come together. The last few days, I have been sick and also I have been embroiled in the Mad Men marathon AMC hosted in the days leading up to the finale. I DVR’d every episode and had finished about 45 of the 92 before the finale aired. There was something about my feeling under the weather and my compulsion to binge re-watch these episodes that sent me into a bit of a downward spiral. In the last few days I have been rendered unable to talk about anything other than the lives of Don and Betty and Peggy and Joan and Pete and Trudy and Sal and Lois and Meredith and Miss Blankenship and well, you get the idea. And I’m not sure, but until this morning, I thought I’d lost my sense of smell forever. My friend Linda texted me on Sunday with commiseration about Mad Men‘s end. She added that we needed to get together because it’s been awhile since we’ve hung out. (She lives 1.5 miles away from me.) I said, “Yes, let’s hang out soon.” But all I could think was I can’t make plans with people until I’m finished watching these 92 episodes of Mad Men. You know, priorities. I could talk about the ending of the show, what satisfied me, what disappointed me, what confused me. But, you know, there is that chance that you haven’t seen it yet. Also, you’re not reading this to get my review. But I will tell you what I was thinking about when I woke up this morning, after I’d had a night or two to sleep on it. On Sunday, between Facebook messages and texts, I had several conversations about how the series would and should end. I enjoyed hearing the theories, the hopes, the emphatic declarations of love or hate for Don or Betty or Joan. (Although, seriously, who could hate Joan?) I was in a Mad Mania and I loved it. Two of the people I communicated with on Sunday were friends from high school. I’ll call them Bob and Emily. Now, I think it’s already been established, but it took a very, very long time for me to ever feel like I was more than just a Nick Carraway in someone else’s story. I’ve always felt like one of the Watchers sitting around watching the Do-ers do. I had been friends with Bob and Emily independently for several years when they got together sometime during high school. In true Nick Carraway fashion, I probably had a crush on both of them. Okay, not probably, I did have a crush on both of them. They both were emblems of everything I ached to be: good looking, intelligent, slim, funny, popular. Of course, there was something else about them that made them special, and it’s the kind of thing I never identified until I was in my 20’s, but, simply put, they always seemed to be in cahoots. Like there were a million things that made only them laugh and they could try to explain it to you, but it wouldn’t make sense. It was just between them. And while other high school couples might have been more glamorous or photogenic or romantic, Bob and Emily were what my high school picture of love should be. I’d go to sleep dreaming that my Bob or my Emily would come into my life. And we would be that couple. In cahoots. Of course, Bob and Emily broke up when we were all in college. They each moved on, as far as I know. But for me, the Nick to their Jay and Daisy, and because I’ve spent little time with either of them in the 30 years since high school, I always see them together, whether they should be or not. Like Don and Betty, forever intertwined. I didn’t say that to either of them. These are not characters in a tv show or a novel or a movie, these are people. In watching the early seasons of Mad Men these last few days, I was reminded of something that I had forgotten. We rooted for Don and Betty for a long time. For nearly three seasons, we all hoped that they could work out their differences. It broke my heart Saturday night to watch that scene where Don weeps about his childhood after Betty shows him the box. She rests her hand on his shoulder for comfort but you see in her eyes, it’s too late. She can’t love him anymore. And I sat there on my couch, weeping, because their love was real and it was never coming back. And, okay, small spoiler, but in the last episode, when Don called Betty and in the midst of their conversation, he called her Birdie, I lost it. It was the end and I, I don’t know, it just made me so sad. Of course, I wasn’t just sad for Don and Betty. I was sad the show was ending. I was sad for Sally. Sad for myself because it had been a week and I was still sick. (Do I have lung cancer?) I was sad that couples that I thought should always stay together were not together anymore. Also, at that point, I was sad and worried that we were 20 minutes into the last flipping episode and Don was still in California. I texted Linda later to tell her that she and a handful of my other good friends all came into my life the same summer that Mad Men did. We all met in a class. So much has happened to me since the summer of 2007. Most significantly, of course, I met Eric, who is a little bit Don, a little bit Peggy, a little bit Roger, a little bit Betty, a generous dollop of Joan and even a dash of Sal. And our relationship is as complex, imperfect, and on some days, jet-set, as any that Matthew Weiner has ever created. Okay, this is the point where Don would make Peggy stay late, even though it’s her birthday, and they would drink and smoke and fight until they got the pitch for the meeting, until it all came together. You see, whatever it is I am trying to say here, it’s not exactly cohesive at the moment. It wasn’t cohesive yesterday when I worked on it either. Maybe I need a mouse (or a rat) to dart through my office for this to come together.